Jack White has announced that he has signed the first rapper to his Third Man Records label. The former White Stripes man launched Nashville imprint Third Man in 2001, releasing records by The Dead Weather, The Raconteurs, Margo Price, Karen Elson and others, as well as one-off releases from Laura Marling, Tom Jones, Neil Young, Willie Nelson and more. While White is no stranger to rap himself, New York-based hip-hop artist SHIRT is the first full-time rapper on the Third Man roster (Third Man has previously released music by Insane Clown Posse). SHIRT’s debut album ‘Pure Beauty’ will be released via the label on February 9 and a video for his single ‘Flight Home’ is out now (scroll below to watch). Third Man first announced the news that they were signing a rapper back in December. Responding to the unveil announcement, SHIRT tweeted: “SIGNED TO JACK WHITE’S @thirdmanrecords yooooooooooooo”. In December, Jack White previewed new music in a bizarre teaser video for his next album. White’s new album is believed to be called ‘Boarding House Reach’. White last released a solo record in 2014 with ‘Lazaretto‘. He recently revealed that he had been working on his follow-up LP last summer, joking that it would be “good gardening music or roofing music or, you know, back-alley stabbing music”. 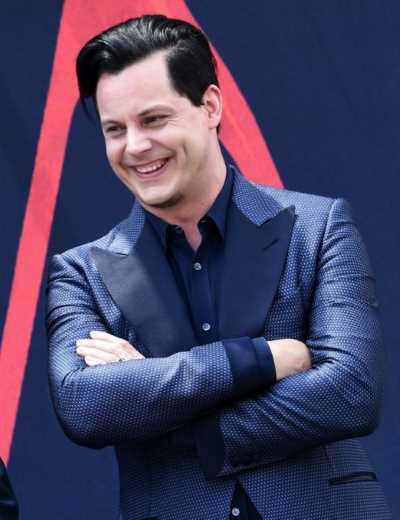 Jack White later issued an update, saying that the album was “practically done” while describing the record as “bizarre”. According to recent reports, the album will be released during the first half of 2018. However, this has not been officially confirmed.